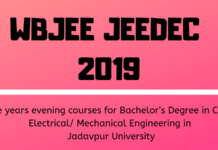 Presidency University Counselling 2019 – Counselling is conducted by West Bengal Joint Entrance Examination Board (WBJEEB) after the publication of result. When PUBDET/PUBDET results are announced, ranks are issued for each candidate. However, the list of candidates eligible to take part in PUBDET/PUBDET counselling process is going to be released separately on WBJEEB’s official website, wbjeeb.in. Only those aspirants who are eligible can take part in the counselling/ seat allocation process. Candidates must ensure that they are present at the allotted date, time and venue of the counselling. 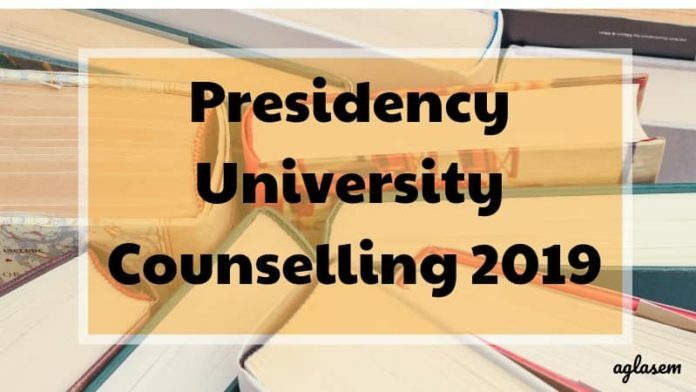 Check complete details related to Presidency University Counselling 2019 from this page. The counselling and admission process will be conducted on the basis of merit. During the time of counselling, admission, registration with the university, the verification would be done. If an applicant is found ineligible at any stage after the exam then, his/her candidature will be canceled even if he/she has obtained a rank in PUMDET/PUBDET – 2019 examination. To know the important dates of Presidency University Counselling 2019 check the table below. 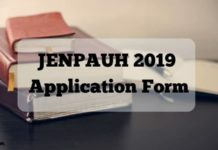 Counselling: The counselling schedule of Presidency University 2019 for PUMDET / PUBDET will be available at www.wbjeeb.in. The verification of the eligible candidates for the counselling process will be verified at the stipulated date, time and venue of the counselling. Candidates must make sure that at the time of counselling /seat allotment he/she is present with all the original documents irrespective of belonging to PU quota or non-PU quota. The PU quota is going to be applicable for those candidates who have qualified their BA / BSc honors degree through regular examination of the Presidency University as per merit. The admission through non-PU quota will be strictly based on rank secured in PUMDET/PUBDET 2019 examination. In case of any vacancy of seats in PU quota then, such seats shall be converted into the non-PU quota. As counselling and admission process is sequential in order so, it is mandatory for the candidates to be present at the allotted date and time of counselling. It is not possible to allow any different date or time for any candidate. Also, candidates are required to appear for the round himself/herself. No other person is allowed to appear for counselling and admission on behalf of the candidate. Candidates must carry the following original documents along with one each self-attested copy during the counselling round. A copy of passport size colored photograph required to be pasted on the provisional admission letter. A Govt. approved photo ID proof like Aadhar card/ Pan card/ Passport/ Driving License/ Voter Id card/ College-ID card (Any). Any official document as proof of the date of birth given in the rank card. B.A. or B.Sc registration certificate. All original Mark sheets / grade cards of all semester/ annual examinations passed at the Bachelor’s level along with one set of self-attested copy.